Tickets can be purchased here on the site. You will be able to purchase tickets on the day, but this will result in a delay for you getting to your seat, as you will need to fill in forms. So skip the queue and book now! There is also a set amount of seats "30" so make sure you don't miss out on getting a seat by waiting till the day of the Lan. You must be 13 or older to attend. You will need a ticket to enter the LAN area. The event is hosted in an empty store in the mall, so it is completely separate from the public. What time does the LAN start? The lan will start at 09:00am (9am) on Saturday morning and ends 15:00pm (3pm) on Sunday. PC and all its trimmings (monitor, mouse, keyboard, headphones(no loudspeakers), mousepad) - Please note we do not provide any gaming hardware, you must bring your own equipment. Cash / SnapScan for food and drinks (and if you opted to pay at the door) - you can also bring your own. (Its inside a shopping centre, so there are shops and restaurants, if you want something we don't have. We will provide drinks, snacks and other food items throughout the event). We have a wide variety of meals, snacks and drinks for sale, see our July 2018 Menu For all the details. These form part of a guideline for people to follow when engaging on CityLAN chat groups / social media - If these rules are not followed you will get a warning and then a ban. Be open to other peoples idea's and do not belittle them for what they say. Be friendly! We are all here to have fun. Respect the Admins on the groups (Linda, Sacha, Daniel, Paul, Zack) - They have the power of the Ban! CityLAN (This is the main group, please do not post general things here, this is for LAN announcements / notifications, questions about the LAN are allowed). CityLAN ChitChat (In here you can go wild, as long as you follow the rules above, post cool gaming things / other cool things here and get to know each other). You are welcome to ask for an invite link to either of these groups. Game plan for the LAN what games will be played? - We will run CSGO comp’s for the event, min of one, till we have no more giveaways for it. - Either teams will be made of of 5 or 3 players. Will confirm once we have numbers. - 3v3 (Second Match): Once the first round is complete, the best three players from each team will move forward and battle it out in a 3v3. - 1v1 (The final): After 3v3 the best player from each team will move forward to the final match, who ever wins this gets the prize(best of 5 rounds). - There will also be a straight team versus team as well. - This will be best of 3. - Winning team gets a prize and they will be LAN Champs till they are defeated. - Will be LAN Champ until defeated. The idea regarding the list below is to make a “game plan” before the lan, so that we can form a few groups who would like to play, we will organise times for each. So if you can let us know what games you are keen for then we can start organising. - Really cool game, will be fun to play as groups! 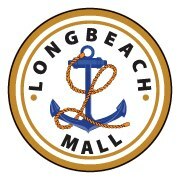 LongBeach Mall is providing permanent security for the entire event. Plus cctv cameras. The whole event area will also be separate from the mall, it is completely closed off, so people can not walk in or around the gamers nor can they take stuff off tables. There will be permanent staff there for the entire event, the core team is 6 people, plus extra staff from wiber will be there during the lan. There are cameras set in place as well as 24 hour security guards. The mall will be securely closed at night time with fire escapes set in place in any case of emergency. Citylan is Completely drug and alcohol free, no smoking, no alcohol, no drugs at the event. Smokers need to follow longbeach mall rules (Smoking area available). We encourage and promote a healthy lifestyle.